SAVE TIME: We live in a fast-paced world that gives us very little time to do chores around the house. Laundry, cooking, cleaning and taking care of the kids take up our time outside of work and a lot of time, leaves little room for anything else to be done. Having little time may just be a good motivator to have a lawn company irrigation system spring start-up for you. DOING IT YOURSELF CAN BE DIFFICULT: Depending on how handy you are, doing spring start-up can either be relatively easy or rather difficult. If you know you aren't the handy kind, consider having a lawn sprinkler company come out and do you start-up. Odds are they've got plenty of experience doing spring start-ups and will be able to get it done right and get it done quickly. A LAWN SPRINKLER COMPANY WILL KNOW WHAT TO DO IF THERE'S A PROBLEM: We have customers break parts of their irrigation system from improper use during spring start-up before, so sometimes it is just better to leave it to the professionals. If a vital piece to your lawn sprinkler system is broken during the irrigation system spring start-up it could mean paying for a very expensive repair, which could have been avoided if a lawn sprinkler company would have come out to do the spring start-up in the first place. Occasionally, there are problems that are detected during the spring start-up process, so having a professional lawn sprinkler come out will ensure that a problem will be detected more easily and if a problem is found, the lawn sprinkler company will more than likely have a solution. 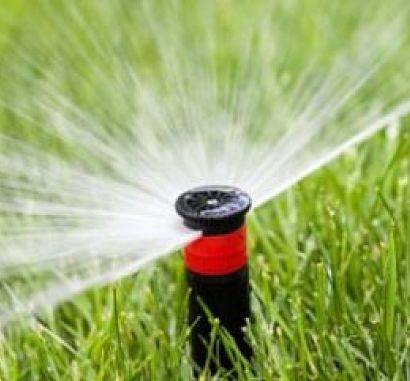 If you still are unsure whether you want to have a lawn sprinkler company come out to do your irrigation system spring start up, contact us and we can explain how the process works. Contact us at (847) 566-0099 or schedule a free quote!